This pendant necklace is from the Tacori 18K925 collection. 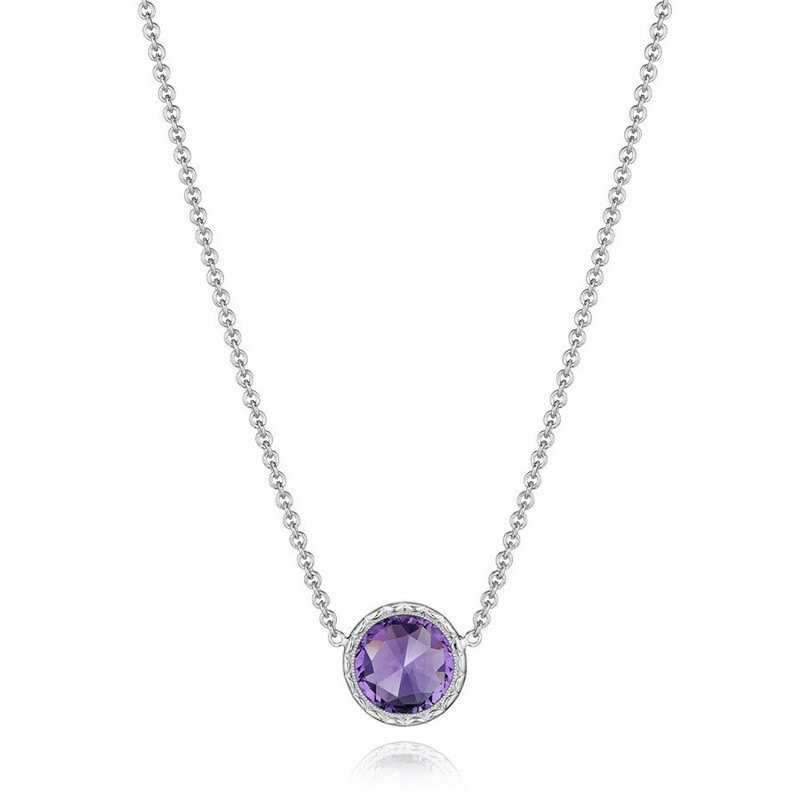 A luxurious purple amethyst center stone on a beautiful 16" necklace reflects the beauty and delicacy of a spring lilac blossom. This vibrant and colorful pendant necklace has a sophisticated and luxurious look with a very modern edge, perfect for today's woman. Truly iconic glamour!